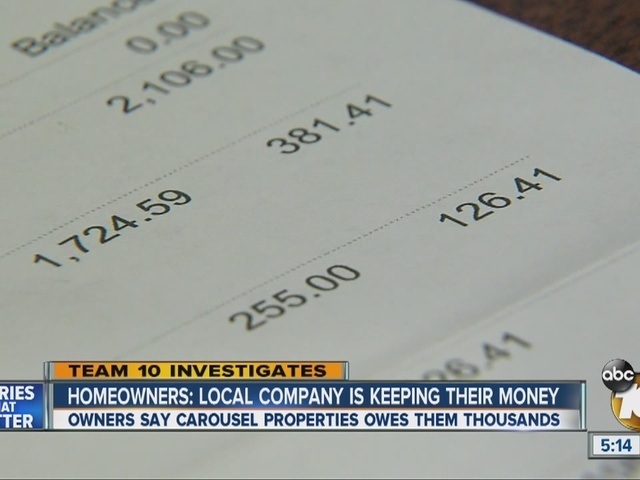 CARLSBAD, Calif. -- Homeowners in the north San Diego County claim a local property management company owes them thousands of dollars. Martin Benowitz says he hired Carlsbad-based Carousel Properties to manage is Oceanside condo. He’s known the owner, Kelley Zaun, for about 15 years. However, he says recent incidents of missing money has changed their friendship. Benowitz recently received a lien on his property because the HOA fees were not being paid—something the property management company was supposed to take care of. He also says he’s missing the rent money owed to him from the last two months, even though his tenant has paid. “There’s no reason or excuse,” said Rinda White who lives in Texas. She hired Carousel Properties to manage her Vista home. She is also missing thousands of dollars. “We’re on a limited income. My husband and I are both retired,” White said. Team 10 obtained emails, which the homeowners say are from Zaun. In the emails, she admitted she “made several errors.” She also claimed she was dealing with health issues. When Team 10 approached her Carlsbad office, she told Team 10 to contact her lawyer and shut the door. Some homeowners want to pursue criminal charges. Team 10 called her attorney, but have not heard back. 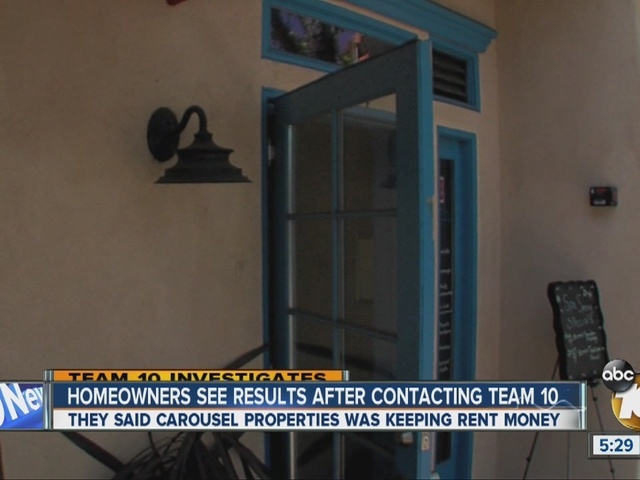 UPDATE: Homeowners told Team 10 Thursday that after the story aired, they started to receive some of the rent money owed them. However, homeowners say they are still waiting for security deposits owed to them. Some have filed complaints with the Bureau of Real Estate.